Since the GDPR changes have been applied to your website, you will notice that from time to time your website’s default ‘admin address receives emails from the site reporting that candidates have requested that their personal data is deleted. 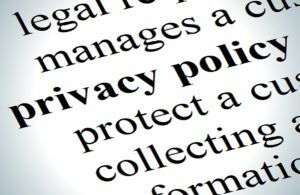 Their information will have been deleted from the website immediately upon this request, but it is important at that stage that you review your internal systems to ensure that no other personal data (unless you require it by law) is held elsewhere and that their request is respected. If you have a refer a friend page on your website, the form is no longer available (it’s not legal to store info of people who have not consented), so you will need to edit the text on that page to explain how a user can now refer a friend to you. The ICO advises that you simply ask the person referring to contact their friend and ask them to contact you, mentioning the referrer’s name.